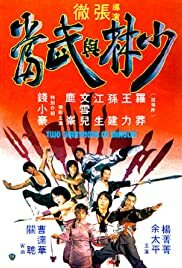 A Kung Fu master finds out that an opium den is destroying the lives of the town he lives in, and vows to put an end to the den, but first he must try to defeat the strongest enemy he has ever faced: his addiction to the drug itself. Gordon Liu Chia-hui reprises his famous Monk San Te role as he tries to support and protect Shaolin her Fang Shih-yu who purposely attacks corrupt Ching officials. Fights by legendary action director Liu Chia-liang are to die for. A band of killers from an ailing kung fu and magic society are sent on a manhunt for a former member of the society, whose bad mouthing threatens it's existence. An assassin, trained in the use of a throwing weapon that can behead its victims from a distance, questions the morality of his missions and becomes a fugitive hunted by his former comrades. Cheh Chang and The Venom Mob deliver again! Director Cheh Chang helms another solid bit of marital arts for the always amazing Venom Mob stable of martial arts actors. This film is a tale of Shaolin vs. Wu Tang and is a typical Cheh bloodbath (in one early scene, a character actually has their man- parts ripped off during a fight!). The story is basically Lo Meng wanting revenge on the Wu Tang clan who killed his family when he was a child. The film starts strong, but has a slump in the second act and the fighting kind of drops off until the climax, but the fight scenes that are here are amazing! Overall, this isn't the best from The Venom Mob, but it's still pretty darn amazing.